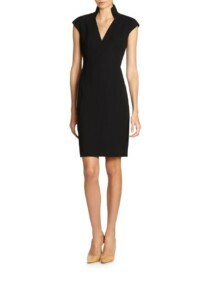 Finding the perfect balance between style and professionalism for your business dinner dresses is no easy feat. You want to feel your usual stylish self but understand the need to maintain a smart, respectable image. With that in mind, we have taken all of the hard work of this usually arduous task. 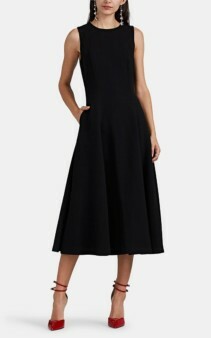 Our new edit contains the ideal dresses to have you feeling unquestionably chic and on top of your professional game! 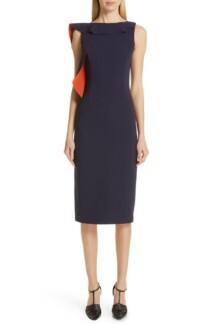 These vibrant business dinner dresses are proof that dressing professionally never means your ensemble has to be dull. Combining colour with an elegant cut is the perfect way to remain smart whilst injecting some personality into your look. 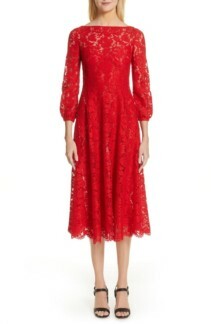 Just like the Sheila Cloqué- textured dress by Emilia Wickstead. The skirt and neckline are ideally befitting of the occasion whilst the spirited green hue reflects your character and style. 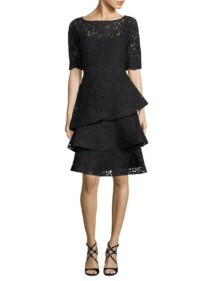 If it’s vivaciousness and charm combined that you seek then you’ll adore the flutter sleeve sheath dress by Brandon Maxwell. 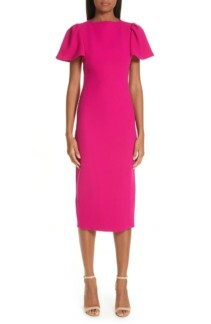 The stylish sleeves and vibrant pink fabric are full of character whilst the timeless sheath cut ensures your look remains classic. 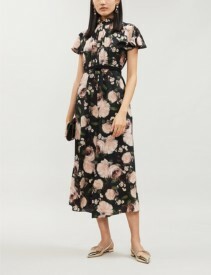 This incredible dress is absolutely ideal for spring and a go-to for upcoming business dinners. If you’re going down the classic route then nothing beats chic black and white business dinner dresses. Opt for something timeless with a modern twist to keep your look current. 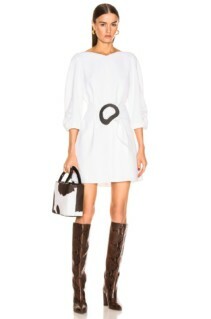 A perfect example of this is the Jacquard printed Ivory dress by Calliope. 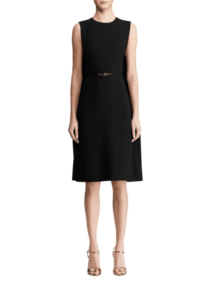 This dress combines a modest hem and neckline with a flattering slim fit to shape and define your silhouette. Additionally, the black on ivory print is energetic and creative whilst still fitting for a corporate environment. Style this look with simple heels for an elegant finish. 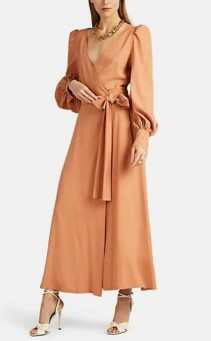 If you’d prefer a monochromatic look then the Sasha pleated wrap dress by Diane Von Furstenberg is perfect. 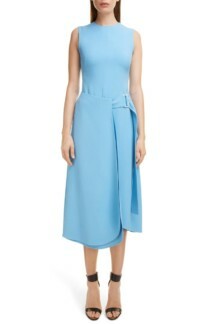 This stunning midi dress employs a favourable wrap style and pleated ruffles throughout the skirt. 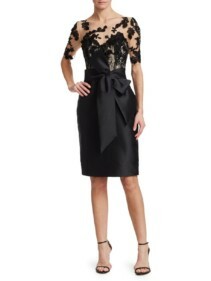 These tiers create a subtle volume that contrasts perfectly with the more fitted bodice and defining grosgrain ribbon. Owing to its satin chiffon construction, this dress also has an elegant, lightweight drape and beautifully fluid movement. 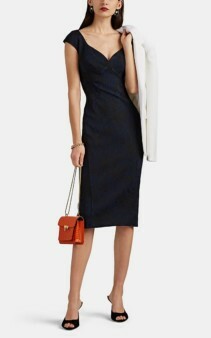 This dress looks particularly incredible with metallic heels and accessories for a celebratory corporate event.